Larger Than Life, an intimate exhibition of sculptures, paintings and works on paper by Colombian artist Fernando Botero is now on view through Feb. 20 at Rosenbaum Contemporary’s Boca Raton gallery at 150 Yamato Road in Boca Raton, Fla.
One of the 20th century’s most recognizable artists and one of the most popular artists living today, Botero’s work has been exhibited in, and is included in the collections of, museums in North and South America, Europe, the Middle East and Asia including the Museum of Modern Art in New York, the National Museum of Fine Arts in Santiago, Chile; and the Hermitage Museum in Saint Petersburg, Russia. He is known for his enormous sculptures and colorful paintings of humans and animals as well as his trademark style of “inflating” figures and objects to give them presence, weight and a rounded sensuality. He is also known for his Latin-American influenced painting style with its flatness, bright colors and boldly outlined shapes. 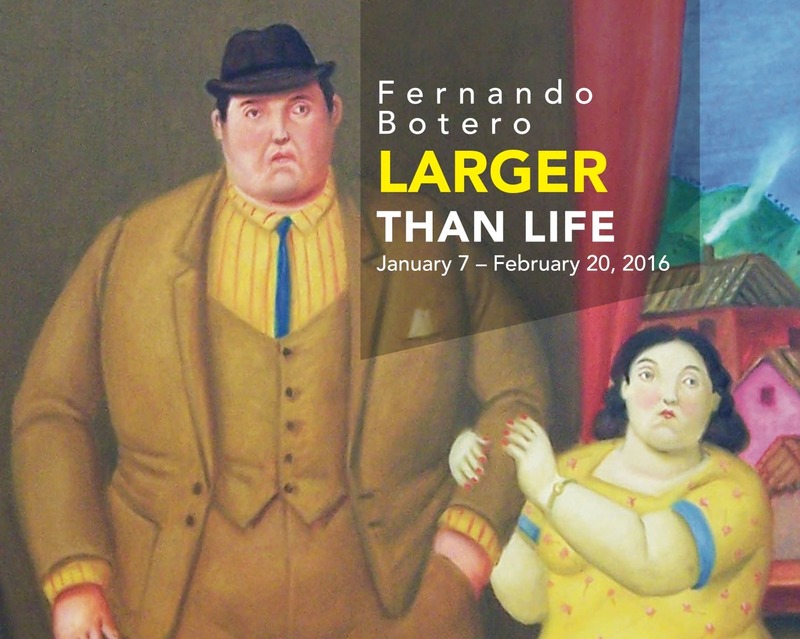 Botero’s familiar themes: portraits of people, nudes and still lifes are all reflected in Rosenbaum Contemporary’s exhibition. The gallery is open Tuesday through Saturday from 10 a.m. to 5 p.m.